Elevated Garden Beds are the answer for an instant and manageable garden that can be placed anywhere. 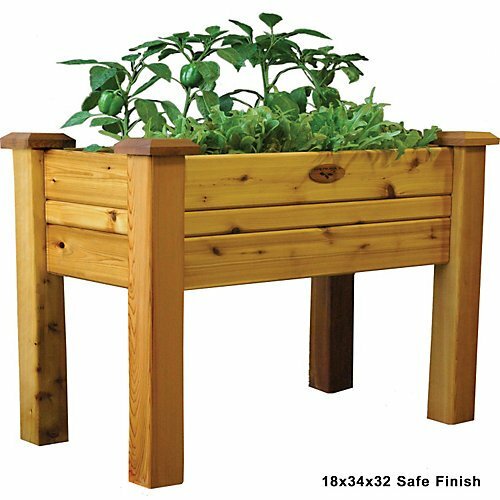 Ideal for small patios, decks, condos, apartments, or anywhere you’d like to grow vegetables, herbs, or flowers. The Elevated Garden Bed eliminates bending over while gardening and is perfect for gardeners with mobility and back strain issues. These planters are constructed of 100-percent Western Red Cedar, are quick and easy to assemble, and are handcrafted in the U.S.A.